BOTHELL, Wash., Feb. 4, 2018 /PRNewswire/ -- AGC Biologics, a global leader in clinical and commercial manufacturing of therapeutic proteins, announced today the company held its second bi-annual technical seminar in Seoul, South Korea, exclusively focused on early-phase development and manufacturing. 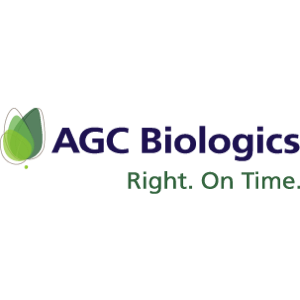 BOTHELL, Wash., and BERKLEY, Calif., and COPENHAGEN, Denmark, and HEIDELBERG, Germany, and CHIBA, Japan, and YOKOHAMA, Japan, Jan. 21, 2018 /PRNewswire/ -- AGC Biologics, a global leader in clinical and commercial manufacturing of therapeutic proteins, announced today the company will hold a technical seminar in Taipei City, Taiwan, exclusively focused on early-phase development and manufacturing. BOTHELL, Wash., BERKELEY, Calif., and SOUTH SAN FRANCISCO, Calif., USA -- December 12, 2017 -- CMC ICOS Biologics, Inc. (“CMC Biologics”), a global leader in clinical and commercial manufacturing of therapeutic proteins, and Harpoon Therapeutics, an immuno-oncology company using its proprietary TriTAC™ technology platform to discover and develop novel biologics for the treatment of cancer, announced today they have entered into an agreement for the development and manufacturing of HPN424, HPN536, and HPN217, representing three TriTAC™ molecules for the treatment of various human cancers.